Is that scaffolding made out of miscellaneous branches? Why, yes. Is that barbed wire on the gate? Why, yes. 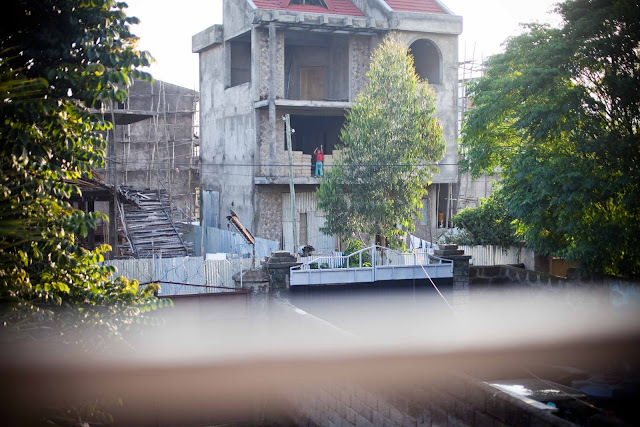 Wait, is that a child on the second floor of an unfinished house? MMmmmmmhmmmmm.